Let go your senses and reach out with your feelings, a surprise it is not that action they took. Into a corner Carney had backed himself when he declared that the UK economy would fall into a recession if the Brexit vote occurred. 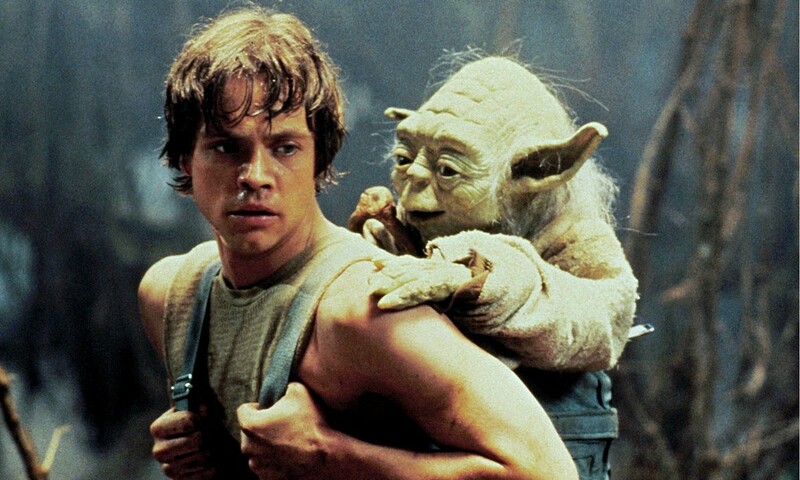 More than this, from a little Ewok I have heard, that privately even more doomful Carney has been on Brexit economy prospects. 1: Economic recession + deflationary spiral of falling land prices. 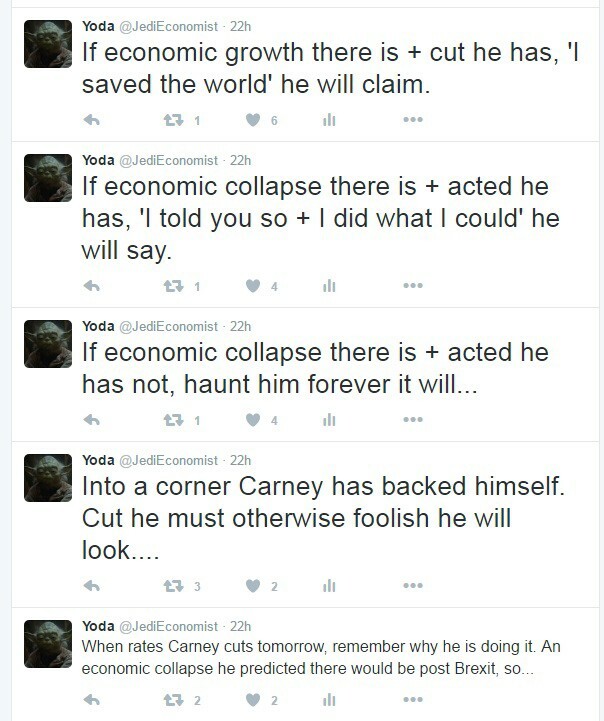 If Carney didn’t ease foolish he will look as warned of it he had. 2: Economic stagnation with no growth and no inflation. If Carney eased, say he will that “I told you so and recession I avoided”. If ease he did not, exposed his poor judgement will be as recession he called. 3: Economic growth + inflation from a falling GBP. If Carney didn’t ease, foolish he will look. Clear it is that inevitable the easing was. A more difficult question now there is though, ease some more will the Sith Lord Carney, hmmm? To the economic data we can look for an answer, but much it does not tell us. To 0.6% CPI has risen, with a sharp increase of 4.3% in PPI. Feed through to the CPI the GBP fall will and back towards 1.5% CPI will be by Xmas. Increasing employment still is, although fallen by 2.4% YoY the average salary of advertised positions are. Strong in The Force Retail Sales are, 6% increase in volume of sales YoY, but erratic this data can be. At a record rate foreign investment cash is flowing into the UK, the number one destination the UK is in Europe. To 60,912 home loan approvals fell in July, from a six month average of 68,775. Nothing here there is to justify further easing yet, so to Carney’s twisted thinking and the preservation of his dark career path towards being the head of the IMF we must look to for clues about his next move. When meditating on this, I sense that wait he will until 2017 before a decision he makes. Only a worsening of inflation expectations will force more easing, as now the risk is that if more he does and an inflationary overshoot there is, weaker his counterfactual argument will become if an inflationary outcome results.